On Saturday I went out. At night. I know, so unlike me. 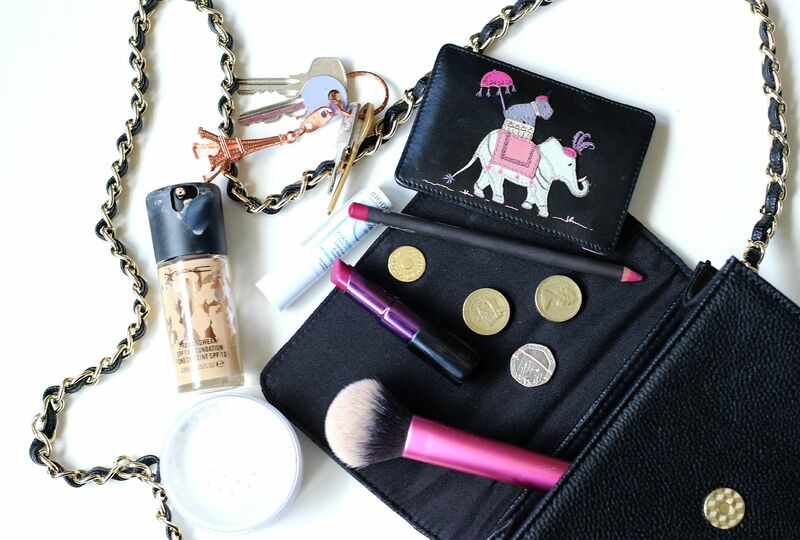 A long-lasting foundation is pretty key for a night out. You absolutely cannot beat MAC Pro longwear foundation because it looks exactly the same when you take it off as when you put it on. Amazing stuff. Dusted with plenty of powder in all the right places – I recommend the Vichy Dermablend – and you’re pretty much good to go. I love a good matte lipstick with a lipliner, but especially on a night out when you want everything to stay in place. Currently testing the Urban decay matte revolution (stay tuned). My going out perfume has to be Tom Ford Black Orchid – it’s gorgeous. Then, there are other bag essentials. A compact with a mirror, my oyster card, my keys, some change and a lip balm. It wouldn’t be one of my bags if it didn’t have at least one lip balm in it. What do you take with you on a night out?